Spurs Kane suffered a serious ankle ligament damage, may have to consider surgery. The England captain is susceptible to ankle damage and would be his fifth such injury since 2016 and the second to his left joint this year. Tottenham forward and England captain Harry Kane may have to consider surgery on his injured ankle, a leading surgeon has said. 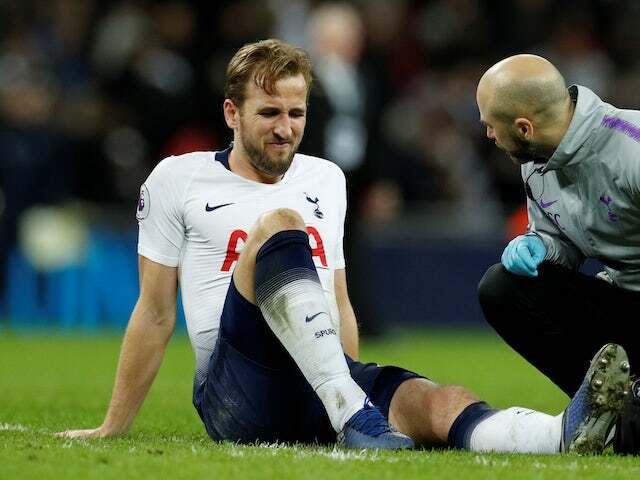 Kane who suffered a “significant lateral ligament” injury to his left ankle during Spurs’ 1-0 Champions League win over Manchester City on Tuesday and is unlikely to play again this season. “At some point I think they would think about doing something surgically to stabilise the ligament, which is quite feasible and should restore the problem happening in the long term. He’s not that old, he could do with a stable ankle if he wants to carry on playing long term without it happening again. It is a routine operation because the ligament needs to be tightened up and that is fairly easy. “If he were to have surgery, the surgeon would almost certainly use an internal brace, which is a device which you put over the ligament repair and it is incredibly strong. It means you are not just relying on scar tissue regaining strength so it would improve his chances of coming back. The surgery would put Kane out of action for about three months, which may not be much longer than he could be expected to be out anyway. The England striker has previously shown impressive powers of recovery and is targeting a return to fitness for a potential Champions League final and UEFA Nations League semi-final in June. The surgery would keep Kane out off the ground for about three months as he needs to stabilize his ankle for the mentioned period. But we’ve seen his speedy and impressive recovery rates earlier too. So his return is expected for Champions League final and UEFA nations League semifinal.